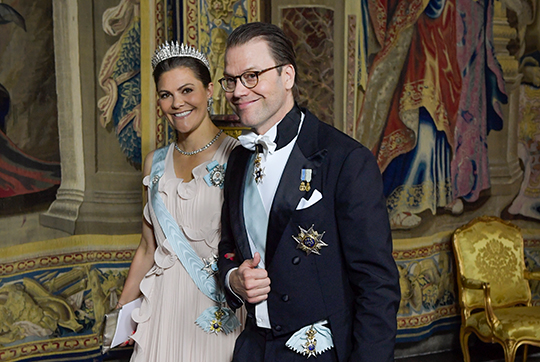 We've already counted down the best jewels from Denmark's tiara-fest this week, and now we've got the best of the rest! Don't forget to vote for your favorites in the poll below! 20. 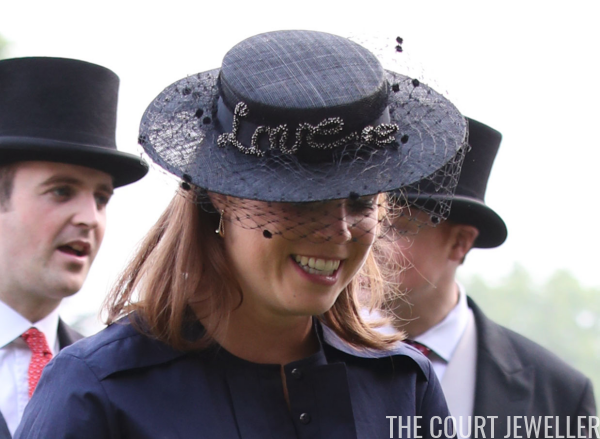 For Thursday's garden party at Buckingham Palace, Princess Eugenie of York wore delicate earrings -- and a hat that expresses her feelings a few months before her wedding. 19. 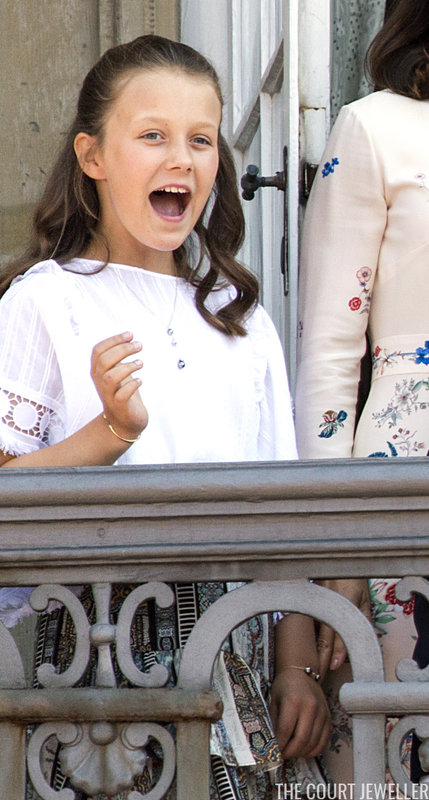 Princess Isabella of Denmark, who cheered enthusiastically on Saturday during a balcony appearance honoring her father's 50th birthday, wore delicate jewelry, including a pearl necklace and bracelet. 18. 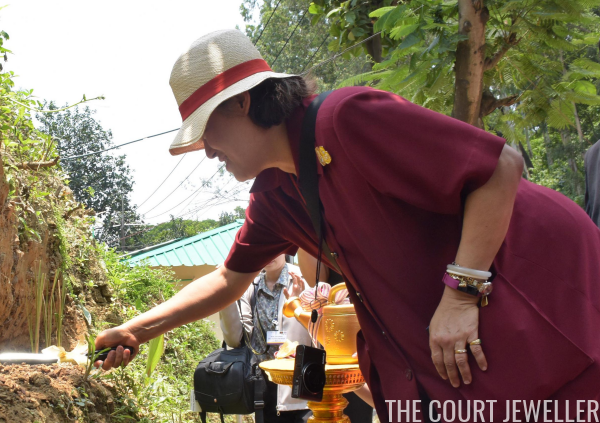 Princess Maha Chakri Sirindhorn, sister of the King of Thailand, wore a stack of bracelets, a golden brooch, and rings on Wednesday to inaugurate a vetiver grass sowing project designed to help stop landslides in Bangladesh. 17. 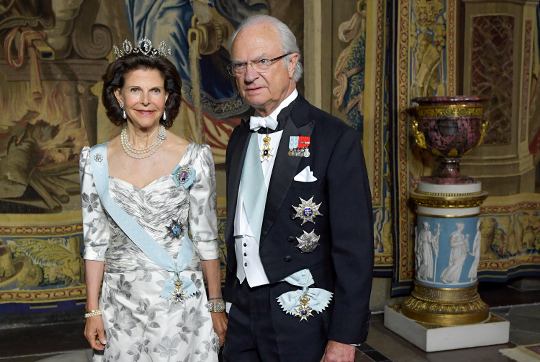 On Tuesday, Queen Letizia of Spain wore her Double Dagger earrings from Gold and Roses for the inauguration of the 13th International Seminar of Language and Journalism in San Millan de la Cogolla. 16. 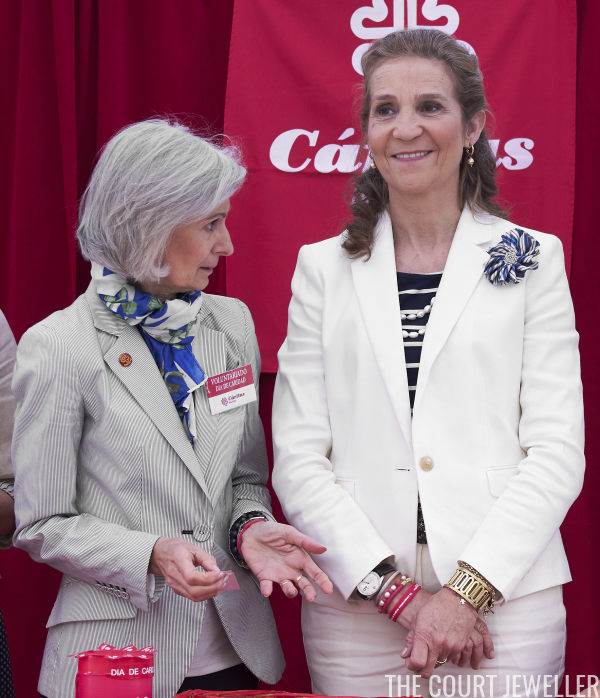 Queen Letizia chose her rose quartz and aventurine earrings from Coolook for Armed Forces Day in Logrono on Saturday. 15. 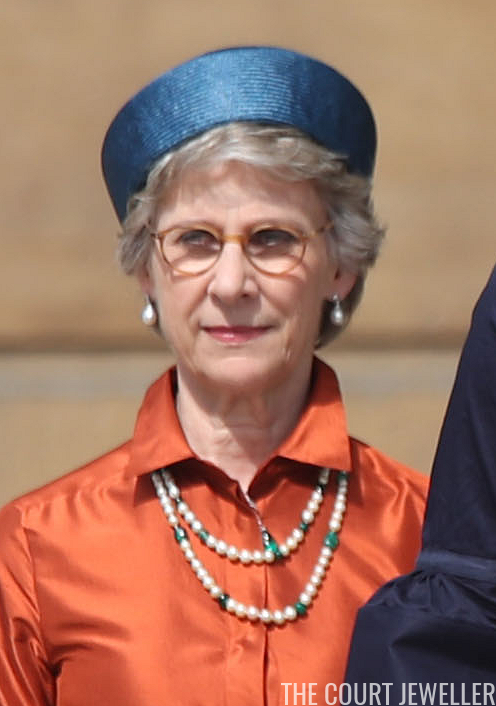 On Thursday, Infanta Elena of Spain wore pearls, gold drop earrings, and stacked bracelets for Charity Day in Madrid. 14. 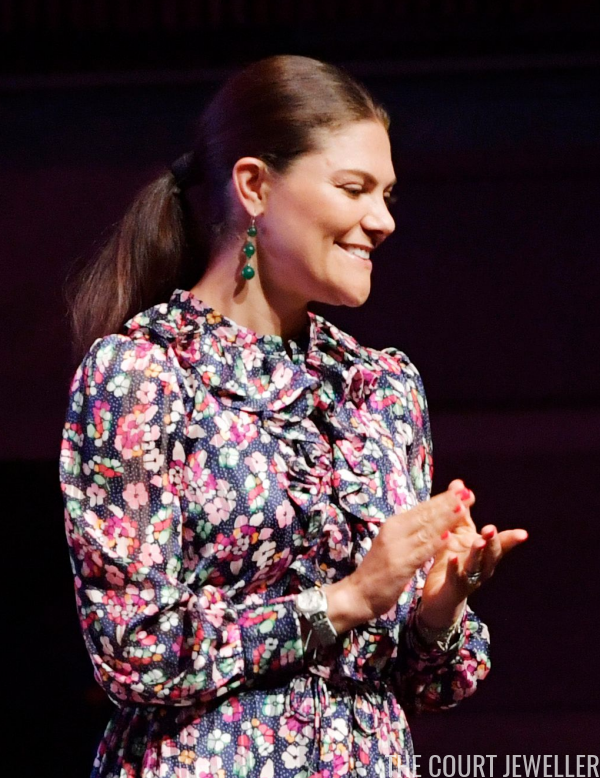 On Monday, Crown Princess Victoria of Sweden wore green drop earrings for the 2018 Astrid Lindgren Memorial Award ceremony in Stockholm. 13. For the final day of the Dutch state visit to Luxembourg on Friday, Grand Duchess Maria Teresa wore a pair of major statement earrings for a visit to Bettenbourg. 12. Queen Maxima of the Netherlands wore earrings with blue gem drops and a long necklace set with coordinating blue beads and baroque pearls during her visit to Mumbai on Wednesday. 11. 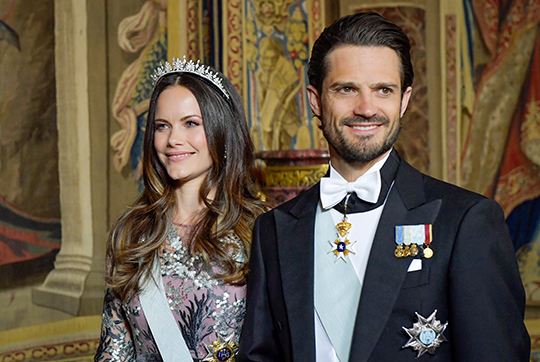 Crown Princess Mary of Denmark wore her blue drop earrings from Marianne Dulong for Saturday's birthday balcony appearance for Crown Prince Frederik in Copenhagen. 10. 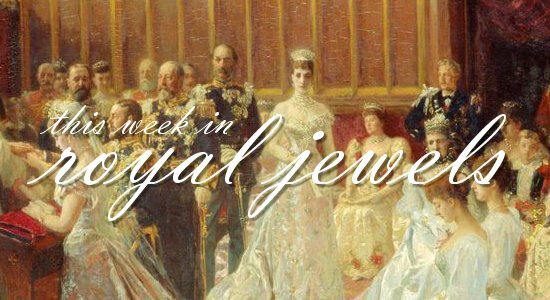 Princess Charlene of Monaco wore a jewel that has quickly become one of her signatures -- round diamond stud earrings -- for the Grand Prix on Sunday. 9. 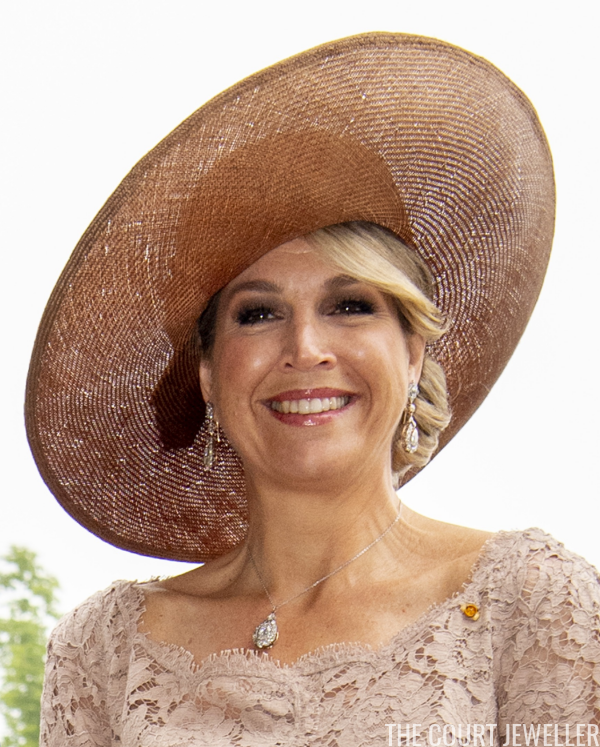 For Friday's final engagements of the Dutch state visit to Luxembourg, Queen Maxima wore gem-set drop earrings and a coordinating pendant necklace in Bettembourg. 8. 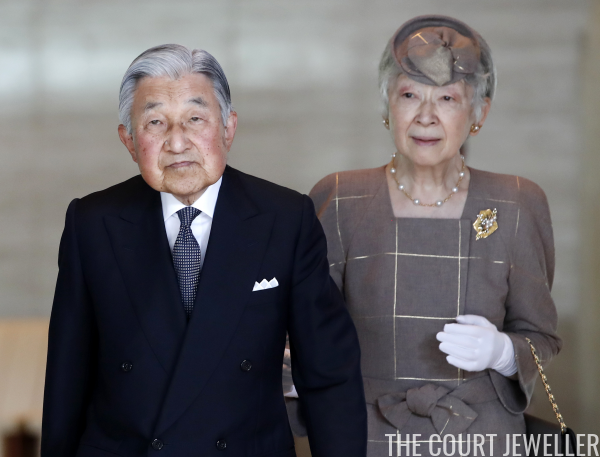 Empress Michiko of Japan was elegant as always in gold and pearl jewels at the beginning of the Vietnamese state visit to Tokyo on Wednesday. 6. 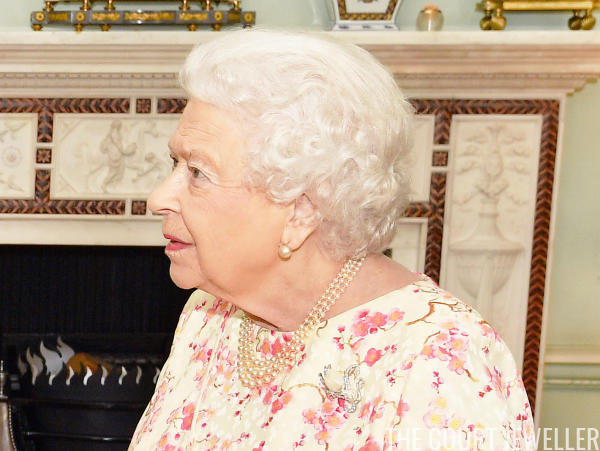 Queen Elizabeth II of the United Kingdom chose her diamond and pearl swan brooch to receive the Australian High Commissioner at Buckingham Palace on Wednesday. 5. 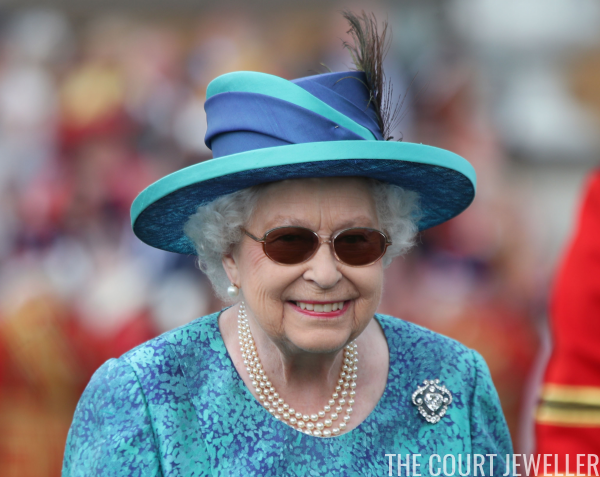 The lovely Cullinan V Brooch was Queen Elizabeth II's choice for a garden party at Buckingham Palace on Thursday. 4. 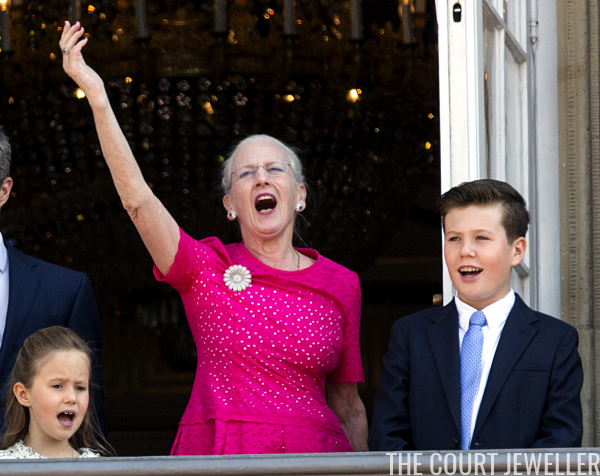 Queen Margrethe II of Denmark wore one of her most sentimental jewels, the Diamond Daisy Brooch, for a balcony appearance celebrating her son's 50th birthday on Saturday.